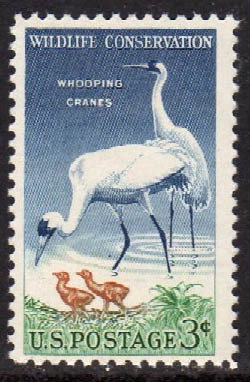 In the year 1942 only fourteen wild "Whoopers" remained. After the better part of a century and over fifty million dollars spent (mostly from private donations), the population today hovers just over 500 birds -- a hard-fought symbolic victory for conservationists. But what kind of victory? The "culture" of the cranes may be forever lost. Humans must use puppets and costumes to painstakingly teach chicks to feed themselves and care for their young, but naive captive-trained cranes are easy prey for predators. The birds sometimes fail to recognize their own species when mating, and are plagued with genetic problems stemming from the population bottleneck. Ultralight planes coax cranes into flying their ancestral migration paths, but injuries occur when birds hit power lines. In 2007 a tornado wiped out an entire flock of 18 Whoopers. At the southern end of their range, sparse natural resources make the wild birds dependent upon supplemental feeding, and at the northern end, harassment by black flies has caused birds to abandon their nests in the Necedah Wildlife reserve. An attempt to establish a stable non-migrating population in Florida may be failing. Has the result been worth the effort? The answer is simple. When the last crane is gone -- Whooping Cranes will be gone forever. The hard lesson -- it is easier to protect a species before it becomes critically endangered. It is not simple to re-introduce a five-foot crane back into a wilderness that no longer exists. Protection of animal habitats must be the first priority, and that means that humans have to make room -- or be ready pay for our mistakes. Nevertheless, in spite of what seems like impossible odds, there are still heroic men and women determined to save the Whooper. By taking a stand to re-establish Americas largest and most majestic crane back into the wild, humans are slowly rolling back the extinction of an iconic bird. The Whooping Crane population stands today near an all-time recovery high, and new volunteers are stepping forward every day, armed with fresh knowledge and determination. Thanks to them, our generation has one foot in the door toward saving the Whooper. But they need help! Vote your feelings, and donate time and money to protect natural habitats. And if you find yourself in western Tennessee in the fall, keep you eye out for a sight that may never be witnessed again -- a ragged V of Whooping Cranes struggling to follow an ultralight plane -- on a grueling journey back from the brink of extinction.